Students working on their lower-division coursework before applying to the business or accounting majors are considered pre-business majors. 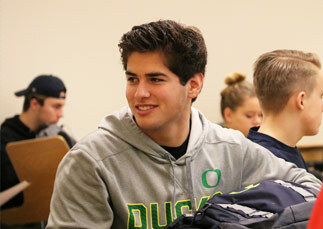 Current UO students may change their major to pre-business any time during their time as undergraduates. Students who wish to major in business or accounting must meet the requirements below, complete lower division coursework, and complete a separate application to the major around the time they complete 90 credits. All requirements listed below must be taken for a letter grade; students must attain a minimum of C- or better. A 3.0 cumulative GPA and a 3.0 lower division business core GPA. For information on applying to the major without having met the GPA requirement, read more about admission by holistic review. 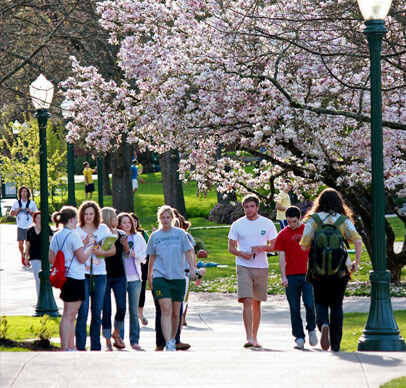 The UO prohibits retaking courses in which a C or P or better has been previously earned. A petition process is available. The Lundquist College further limits the repeating of lower division core courses to one time (including marks of W,N,F,D,C-). For more information, please visit the registrar’s website. University general education requirements do not need to be completed before admission to the Lundquist College of Business, but it is strongly advised that students finish as much general university coursework as possible in the first two years. For a full list of general education requirements, see the university catalog. Standard Admission: Students who achieve a 3.0 cumulative GPA (including their transfer work) as well as a 3.0 in their lower division core will qualify for guaranteed admission, pending successful completion of the online application (essays, cover letter, resume, transcripts). Holistic Review: Students who have demonstrated a strong academic record—but do not meet the 3.0 GPA requirements—may also submit an application to compete for admission. This is a competitive selection process and students should be strategic in developing their holistic qualifications. An admissions committee thoroughly reviews applications and considers the student’s academic record, as well as their strengths in the holistic review criteria.